No-kill and animal care are ingrained in Bideawee’s history and culture. Bideawee was a no-kill shelter before that was even a buzzword in the US. One of the nation’s first no-kill shelters, it was founded by Flora D’Auby Jenkins Kibbe in 1903 shortly after she returned from Paris. There, she saw people affiliated with Barrone d’Herpents Dog Refuge send an ambulance all over the city to pick up stray and unwanted dogs and care for them until they found new homes. She brought the concept to New York City, and her mission has stood strong for 116 years. That’s not just a talking point. The Second Start programme is at the core of Bideawee’s efforts, and Leslie says it’s how most of the animals arrive at the shelter. “They are animals who are in high-risk situations, even if they are puppies in overcrowded shelters in the southern US or in Puerto Rico, where there was already overcrowding issues and [Hurricane Maria] made it worse,” Leslie says. Bideawee works with local municipal shelters as well as those across the country to prevent euthanisation. Leslie says most of the cats at Bideawee are local, but the dogs can come from many different states, including New York. Once they arrive at Bideawee, they may be placed at one of the three New York locations: Manhattan, where Wunderdog photographed, Wantagh or Westhampton. 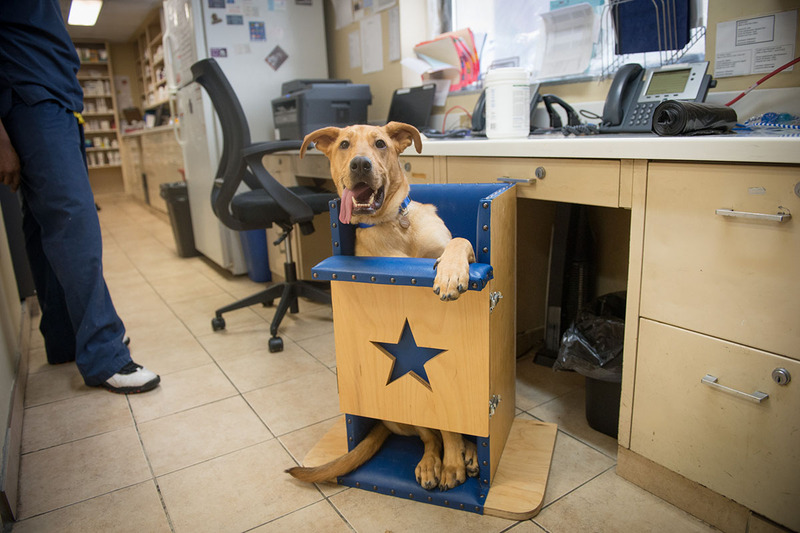 Unlike many municipal shelters, which are often strapped for financial resources, Bideawee is able to provide medical care through their staff veterinarians to animals who might otherwise be euthanised. When ready, the staff and volunteers begin assessing the animal’s behaviour, such as whether the dog takes a while to warm up to someone or loves to go for long walks outside. These evaluations will ultimately help the animal find a forever home. By the time the animal is ready for meet-and-greets with potential adopters, the staff and volunteers are ready to play matchmaker and dispel any biases. Bideawee also did away with breed specifications — potential adopters won’t see those listed on the animal’s case card. Bideawee found homes for 1,544 cats and dogs in 2018 and is aiming for 1,700 adoptions this year. To meet this goal, Leslie says the rescue will rely heavily on a staff that comes ready to care for the animals even during kitten season when “we have kittens coming out of our ears”. Bideawee also has a large group of volunteers, who help with everything from walking dogs to assisting with adoption events. Bideawee’s volunteers are committed alright — they donated 76,000 hours of their time last year. People looking to get involved can learn more on Bideawee’s website. Other ways to contribute include giving money, following the rescue on social media including Facebook and Instagram and adopting a pet from Bideawee – or any shelter. People who adopt from any shelter ensure Bideawee will have room to save another animal. The charity also hosts an annual fundraising ball: the event last May, held at the Metropolitan Pavilion, raised more than $630,000 from 350 guests, all dressed stunningly for the evening’s “Broadway” theme. The goals and stakes are high at Bideawee — the rescue is the last home before a dog or cat’s forever home — and Leslie admits that even the best shelter is not the same as a warm couch and family for pets to call their own. But for her, seeing loving families give these pets, which her staff and volunteers cared for as if they were their own, a forever home make it all worth it. Leslie recalls a couple walking through the door several years ago. Both men fell in love with Lady, a 15-year-old dog who had some kidney issues but was still going. Lady was a difficult adoption — not many people are willing to open their homes to a dog who may not be around much longer. Then, a chihuahua named Pinky caught their eyes. Pinky had a neurological disorder that Leslie says, “made him shaky he could barely walk anywhere except a carpet”. And in a small way, he carried a bit Flora D’Auby Jenkins Kibbe’s legacy to the Golden State. Beth Ann is Wunderdog's correspondent in New York. Having written for Long Island Pulse Magazine, Beth Ann also headed the Pet of the Month segment, which pairs with local shelters. 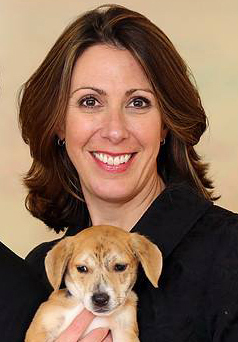 As a true reporter, she looks behind the headlines to find amazing humans and dogs in the rescue world.